ThinkGeek is set to unveil its newest product, iCADE 8-Bitty, at the 2012 Toy Fair in New York City. Its big brother, the iCADE gaming cabinet, began as an April Fool’s joke and soon became the most anticipated ThinkGeek product to date. The iCADE 8-Bitty will bring the magic of the iCADE to the pockets of smartphone and tablet users by delivering an enhanced gaming experience everyone can enjoy. The iCADE 8-Bitty is a wireless game controller that sports a classic D-Pad and button layout reminiscent of retro 8-bit game consoles from the 80’s and 90’s. The 8-Bitty is battery powered, and connects with your device wirelessly. It features a fully-functional directional game pad and eight buttons, just like the iCADE. The 8-Bitty supports the iCADE’s growing list of hundreds of top games, including the Atari Classics collection, Pac Man, Super Mega Worm, and many more. 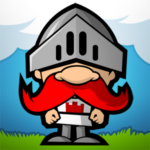 Developers of iOS and Android games can tap into the public API specification to make just about any game compatible with iCADE, and the list of supported games grows every week. More information on compatible games can be found on ThinkGeek’s website at http://thinkgeek.com/iCADEGames. 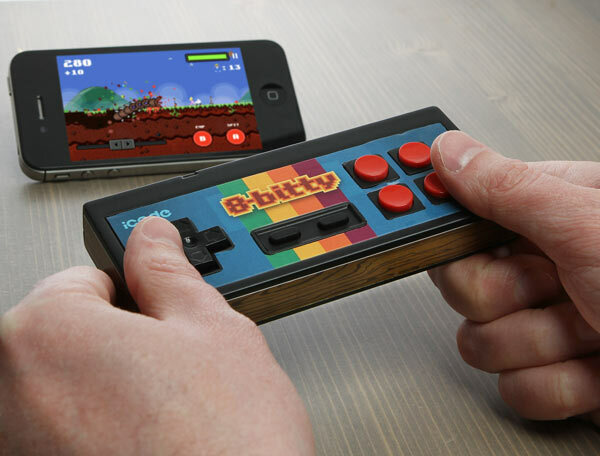 The iCADE 8-Bitty will be available later this year for $24.99 at ThinkGeek.com.